Couple of days back, the Apple developer center went shut down due to hackers then they settle out all the security procedure. 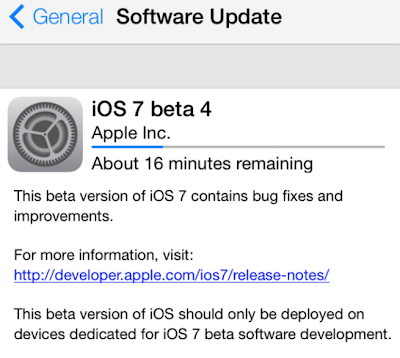 After that Apple has launched iOS 7 Beta 4 build 11a4435d for their developers; I think iOS developers are lucky as compared to Android or other smartphones developers. 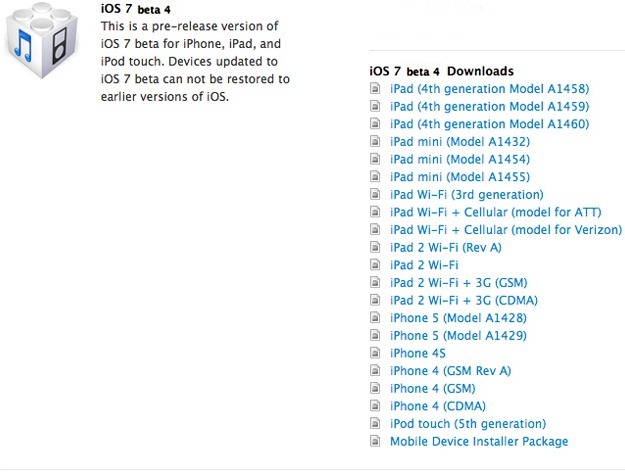 Apple has already seeded three betas for iOS 7 with gradual improvement shown with each beta. It released iOS 7 Beta 4 in their WWDC in San Francisco with some important notes. Now nobody require any developer account because Tiptechnews.com provides you all direct download links. 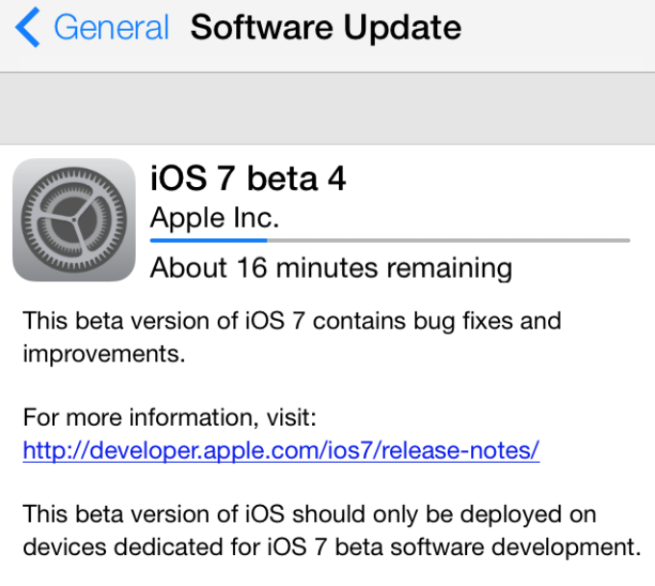 Are you have your iOS 7 UDID activations key yet please visit this link and get the iOS 7 beta 4 free direct firmware download link below.